This is more or less a 2 week vacation to South Africa. This trip covers all of the main highlights in South Africa. Stellenbosch is one of the main wine regions. This itinerary will probably leave the ability after visiting the peninsula to travel to the wine region. You can hike up the mountain with or without a guide. It depends a lot on how safe you feel on traveling up the mountain by yourself. If you are in a group of four or more, there shouldn’t be an issue. The hike up the mountain can take only an hour or two or could take half-day depending on the route. One of the more popular routes appears to be India Venster. I would ask the hotel or guides, which route is best based on your timeline and health. You can pay guide $85.42 via Viator for guide. It is also possible to hike the mountain without guide. Unless in large group, it is probably best to hike with a guide. The costs appear to range from $65 to $90 USD. 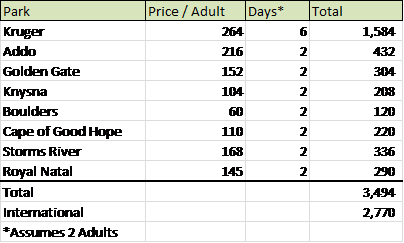 Ferry tickets cost R280 ($25) and departs at 9, 10, 11, 1, 2, and 3 from Victoria-Alfred Waterfront. One should expect to spend 3.5 hours to see Robben Island and get back/forth if taking one of the quicker boats (e.g., Sikhi boat). This is location of where the ferry departs. It sees that this will take half day to full-day depending on how much time that you want to spend at these locations. Near Gansbaai – there is Hermanus which is one of best places to see whales from the shore. This other company called “White Shark Diving Company” finishes up around 12:00 pm. Many people will spend multiple days on the Garden Route. If you plan on spending more than two days in the Garden Route, travelers will typically stop in Oudtshoorn (1 hour N of Mossel Bay). The main attraction of Oudtshoorn is ostriches and cango caves. The most popular attraction on the Garden Route is a visit to Knysna. The next main attraction heading further east is Tsitskamma National Park (Near Storms River Mouth). There are number of interesting hikes with various little suspension bridges along the walkway. Addo National Park is 75 km from Port Elizabeth. You have the ability to do a self-drive safari. Port Elizabeth is 2.75 hours from Tsitsikamma National Park; Addo is 3.5 hours from Tsitsikamma National Park. The full trip at Addo takes 5 to 6 hours. I felt that it made more economic sense to drop. The tour starts at 11:00 hr for 80 – 100 minute interaction. The cost is R250 per person. You can also have the interaction with ZAR 400 per person to walk with Cheetah. This typically starts at 7:30 am. 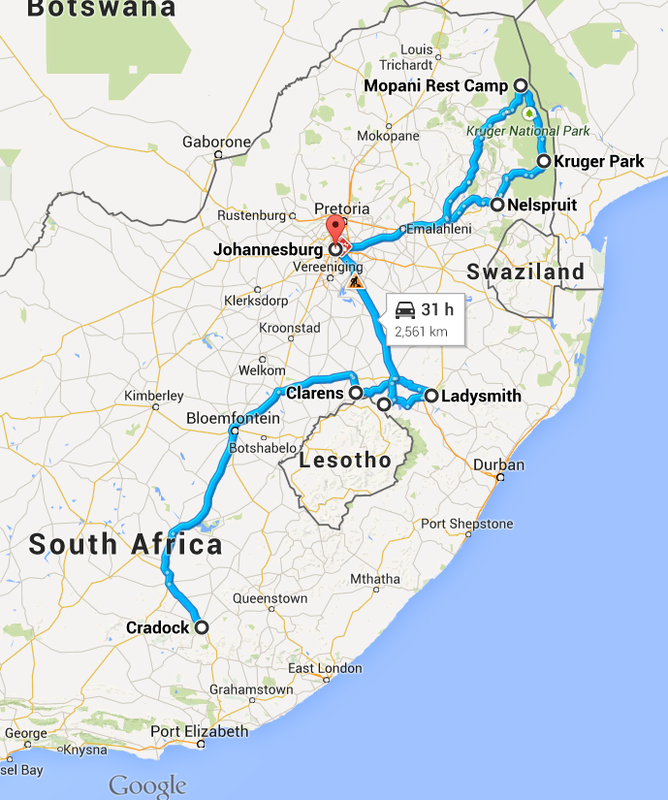 The drive to Ladysmith would cost 8 hr and 45 minutes. 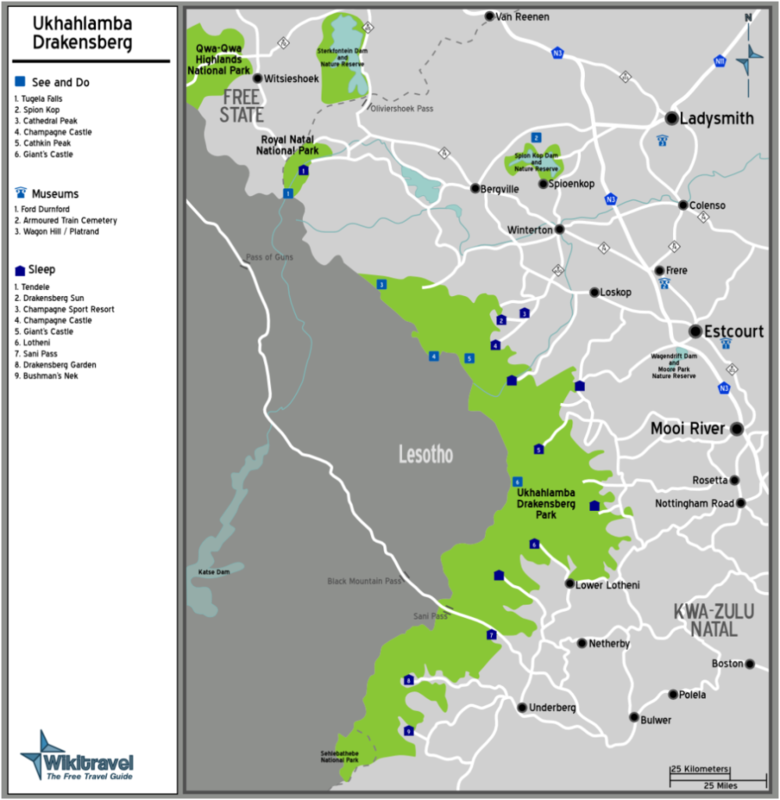 It is not easy to travel from one part of Drakensberg Mountains to the next part. As a result, you will need to selectively pick your destinations and/or give yourself extra time. This park is 3.5 hours from Durban and then 4.5 hours t J’burg. The Tugela Gorge hike, which is a 23 km hike, is a 5.5 hour to 7 hour hike along the Amphitheatre. You can also get a view of the Tugela Falls, wich is the 2nd highest waterfall. You can stay at the Thendele Camp, which costs 920 ZAR for lower camps or 1050 ZAR for upper camp. The upper camp was recommended as the best option. If you are spending more than one day in the area, the policemen’s helmet is a 14 km hike that takes 4 hours. The second most popular area is Giant’s Castle Reserve. 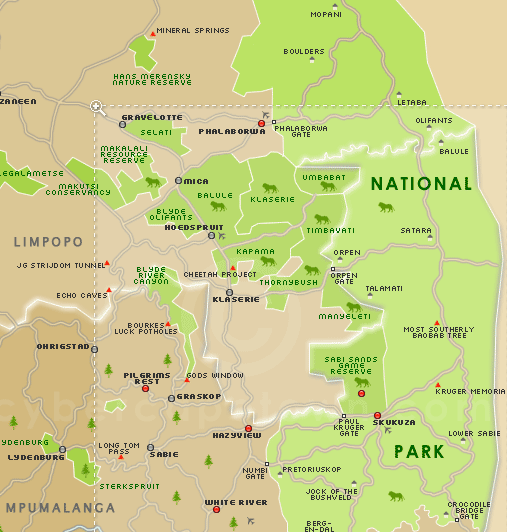 The southern part of Drakensberg region is the least visit part of the park. It is 1 hour from Skukuza. Given timelines, I think a four day safari should be suffice. You will also have the ability to stop at Blyde River Canyon. Camping safari would be at a minimum of $500 but can be 4x or more if staying in luxury camps. For $67, you can do a full day event that includes Soweto and Apartheid Muse. I completed the trip in July 2015. On another post, I have highlighted the lessons learned from this trip.